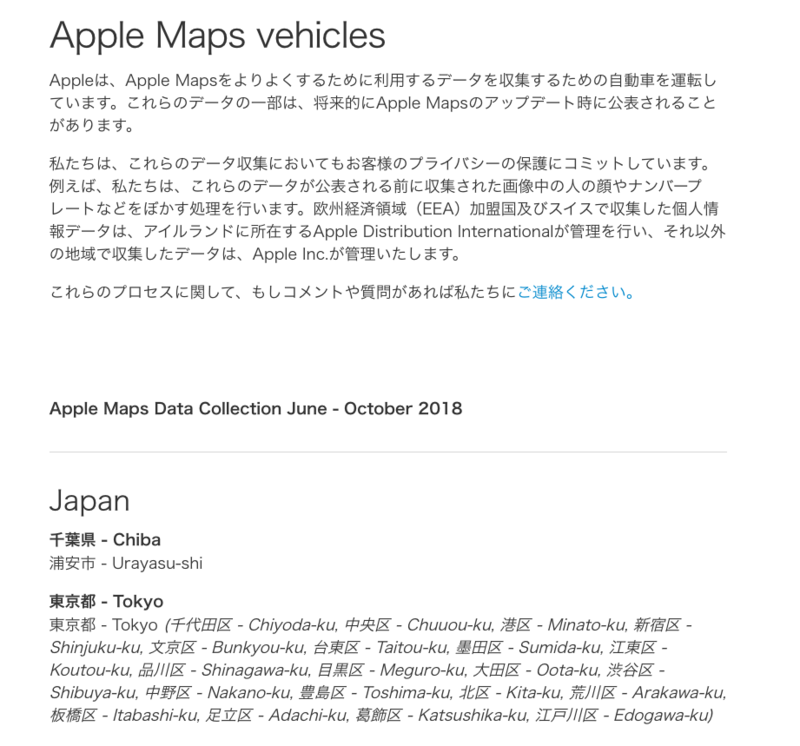 On June 22, 2018, Apple announced the launch of Apple Maps vehicles in Japan stating its activities to be performed within the period of June- October 2018 in Urayasu City, Chiba, and Tokyo, and the Apple Maps car was witnessed. The vehicle in use is a rental car of Nissan for a business use called "NV200 VANETTE". Copyright (C) 1998 Mac Treasure Tracing Club. All rights reserved.